Managing a business successfully depends a lot on risk and compliance management strategies. Appropriate parameters for a holistic risk mitigation are imperative in driving business growth for maximum productivity. An effective e-governance and risk management framework helps you monitor, identify and quantify business and operational risks and alleviate them. 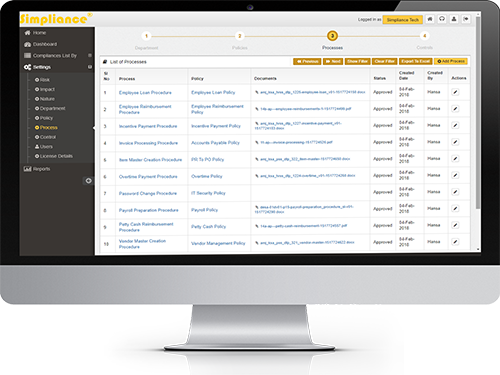 Simpliance’s Enterprise Risk Management framework is designed to control potential operational risks, enabling effectual business risk management, in the most simple, effective and accurate manner. The application determines a response and mitigation strategy and then allows you to reduce possible adverse effects and monitor progress. By identifying and proactively addressing risks and controls, the framework protects your enterprise’s value. Document identifiable business and operational risk through diligent risk analysis. Create policies & procedures and map them to risks and controls in your organization. Monitor operational & business risks and control indicators through the comprehensive dashboard including alerts and notifications. Modify processes and controls on identification of issues to ensure rectification and prevent recurrence. 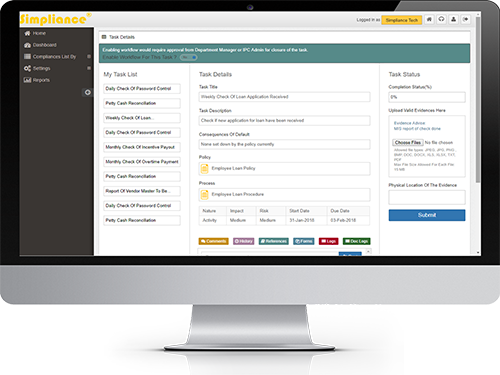 Create necessary proactive controls with respect to your business processes. Monitor and mitigate the identified risk. View risk management progress status through real-time and accurate reports. 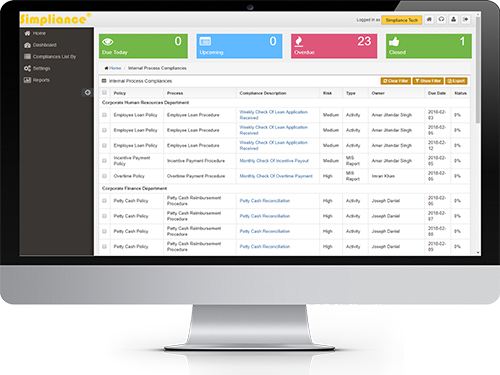 Customize risk and impact with weightage based on your business and operational requirements.